Here in North Dakota, we enthusiastically participate in the annual CHS Country Operations Harvest for Hunger program, which has provided more than 7.5 million meals since 2011. We encourage you to help us in this effort by contributing cash, grain, and canned/fresh foods for the Harvest for Hunger drive. Contact one of our locations to find out how you can participate in the next CHS Harvest for Hunger drive. Your donations will help feed people in need right here in the communities we serve. Hunger and food insecurity affects people of all walks of life, but many food-insecure households are in rural and farm communities, the very places that feed the world. During March, the CHS Harvest for Hunger food and fund drive will accept contributions which will be delivered to regional food banks. According to Feeding America, 17 percent of rural households are food insecure. That’s an estimated 3.3 million households in the United States. Rural areas also account for 62 percent of counties with the highest rates of child food insecurity. CHS Country Operations locations are working together to fight hunger. 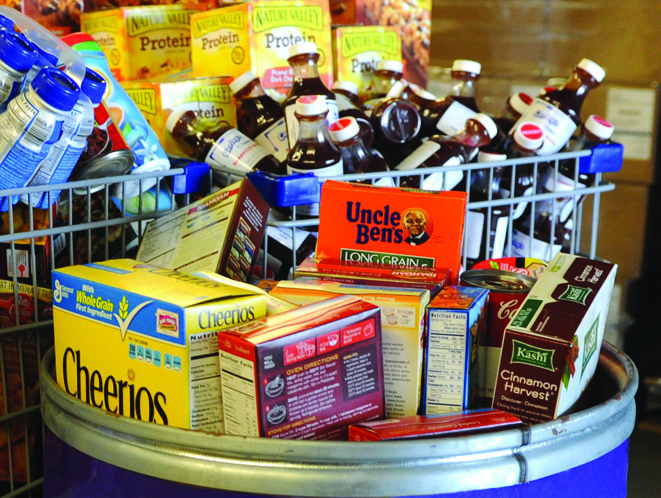 From March 1 through March 20, help CHS Country Operations locations collect financial donations, as well as food, to support regional food banks. In the past five years, CHS Country Operations has raised more than $2 million dollars to fight hunger. Every dollar or pound donated makes a difference. When donations are made to CHS Harvest for Hunger, CHS Country Operations will make a local contribution back to its communities. Contact your nearest location to learn how you can contribute.